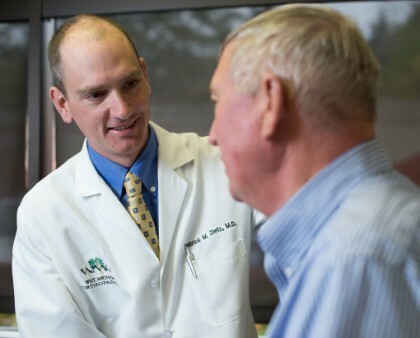 We provide personalized, patient-centered orthopedic care to the West Michigan community. Our practice specializes in sports medicine, hip arthroscopy and joint replacement surgery and many other common orthopedic procedures. Regardless of your condition, our priority is to make your experience as comfortable and pleasant as possible. …If Dr. Wierks had not listened to my concerns, I probably would not have had the revision, or had my other hip repaired. I definitely would not be living the active lifestyle that I love so much! Dr. Roberts is an excellent educator and communicator! Very professional and friendly—puts a person at ease, answers all questions and offers his knowledge and expertise equally well. Thanking him for this courtesy, and quality time and care! I can’t thank Dr. Zietz enough! We are in Colorado hiking and rockhounding and have had NO pain or swelling regardless of the steepness of the mountain. My only question is why didn’t I get it fixed 35 years ago when I originally injured it!! Dr. Roberts & his staff are excellent in every aspect. We are very pleased with his care of my daughter! West Michigan Orthopaedics is a quality organization that is willing to give back to the community! Very appreciative and satisfied with service with two separate knee replacements! It’s not about how many patients we treat. It’s about how we treat each patient. Our priority is making sure you are comfortable and feel empowered with information. 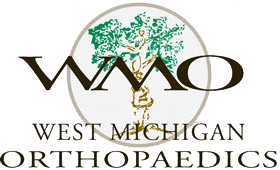 Read what our patients are saying about West Michigan Orthopaedics. Ready to make an appointment?